Heading into the fourth inning of Friday’s matinee matchup, Delano had a 12-inning scoreless streak that spanned parts of three games. So, when the Tigers loaded the bases in the bottom of the fourth, they were willing to try any way possible to score. With one out, Delano senior left fielder Claudia Schuler put down a bunt. 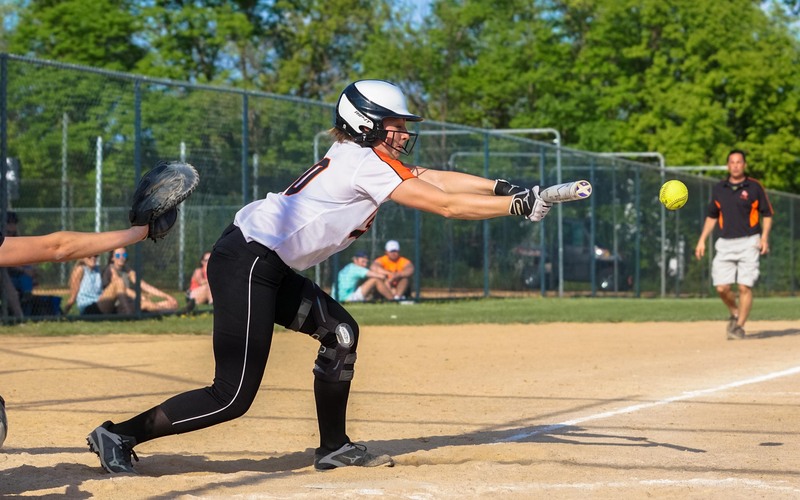 Senior catcher Abby Thomas beat the Waconia throw to the plate and the Tigers were on the board. With the bases loaded once again, Delano executed another bunt single to grab a 2-1 lead. The Tigers finished the inning with a 3-1 lead. Those runs proved to be the difference as Delano wrapped up the regular season with its second win over the Wildcats in 2018 as the Tigers prevailed 3-1 at Delano High School. Heading into Friday’s game, Delano (13-4, 8-3) had faltered after winning eight consecutive games from May 5 to May 12. However, the Tigers had lost their first two games of the week, falling to Orono 3-1 on Tuesday and 4-0 to New Prague on Thursday. To make matters worse for the Tigers, who are ranked No. 10 in the Class 3A coaches’ poll, Delano was tasked with facing Wildcats senior pitcher Alli Christians, an all-conference player a year ago. In the teams’ first game on May 3, the Tigers scored just one run but came away with a 1-0 win. This time, however, Delano learned early it would need more than one run to defeat Waconia (10-6, 6-4). The Wildcats struck early when Christians looped a RBI double into right field that scored leadoff hitter Savannah Drey. After the first inning, however, No. 6-3A Waconia couldn’t plate any more runners thanks to senior pitcher Lauren York, who picked up the win in a complete game effort. 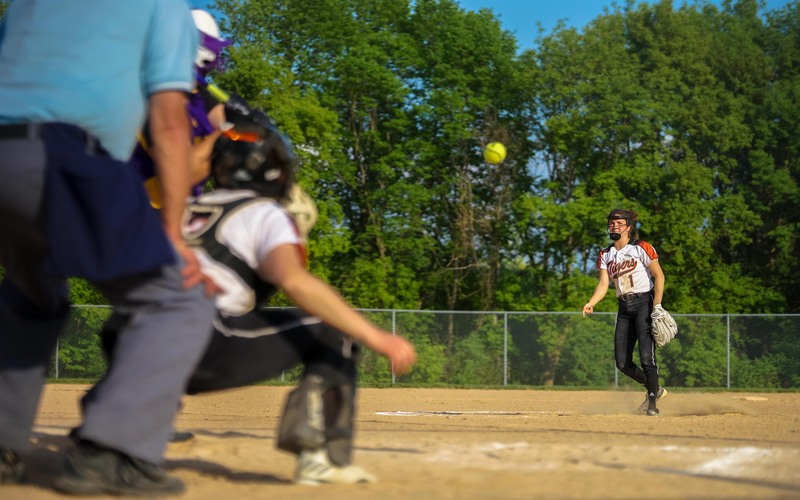 Though she allowed at least one Wildcat to reach base each inning, York kept Waconia from scoring in the game’s final six innings thanks in part to her nine strikeouts. Aside from her work in the circle, York was key at the plate. She walked in all three of her plate appearances, including in the fourth inning to load the bases. With York at first, VanCura decided to call for a bunt. He said it was the first time his team has done that all season. VanCura was proven correct when Schuler’s bunt tied the game at one. He said after the game he didn’t hesitate to try the bunt play again, which worked the second time as well. York scored the third run of the inning when she came home on a walk. Though Delano had just one hit in its three-run fourth inning, it’s something that the Tigers are fine with. This was the final conference game for both teams this season and both of these Wright County Conference East Division foes will finish behind No. 5-4A New Prague. In the past, there would’ve been a chance for Delano and Waconia to meet again in the Class 3A, Section 6 tournament. However, the Wildcats were moved to Class 3A, Section 2 prior to this season, meaning Waconia will be paired with No. 1-3A Faribault, No. 3-3A Mankato West and No. 7-3A Mankato East. The Tigers, meanwhile, remain in Section 6 and will face stiff competition in the form of No. 5-3A Hill-Murray. And after Waconia helped end Delano’s season in the 2017 section tournament (the Tigers also lost to Orono, which is the game they were eliminated in), the Tigers seem fine with not seeing the Wildcats again this season. After losing its last two games, Delano responded by defeating Wright County East foe Waconia 3-1 on Friday at Delano High School as the Tigers ended the regular season on a high note. The Wildcats (10-6, 6-4) got their lone run in the top of the first inning. Waconia senior pitcher Alli Christians got things going at the plate with a RBI double to give her team the early lead. Christians held Delano (13-4, 8-3) off the scoreboard until the fourth inning, when the Tigers scored three runs, which proved to be the difference. Delano’s first two runs came on bunt singles with the bases loaded. The Tigers, ranked No. 10 in the Class 3A coaches’ poll, capped off the inning with a walk from freshman center fielder Sydney York that drove in her sister, senior pitcher Lauren York. The older York held the No. 6-3A Wildcats off the scoreboard after the first inning. Waconia did make it difficult, however, as Waconia had a base runner in each inning.